Not all compliance mandates, such as FERPA, include clear or easy to follow advice for how to protect your digital data and meet regulatory requirements. And those mandates that do give specifics such as HIPAA or PCI, often overlap with each other. 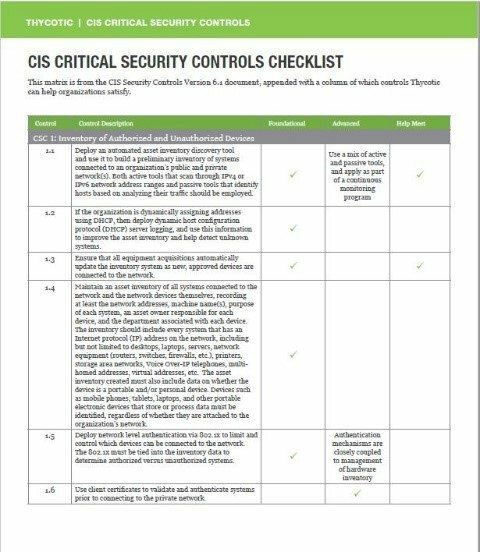 The Center for Internet Security (CIS) has created a framework of Critical Security Controls to help your organization protect data and IT infrastructure. These controls cover major areas of cyber security protection including safeguards for privileged accounts and access to your network systems. Join Thycotic product marketing manager RJ Gazarak as he demonstrates simple security practices that enable you to discover, secure, and manage your privileged account passwords—all automatically, with little or no maintenance. With privileged accounts a preferred target of hackers, Thycotic Secret Server and Privilege Manager software solutions help you enforce security policies for protecting privileged account passwords, demonstrate compliance with regulations, and establish least privilege access.